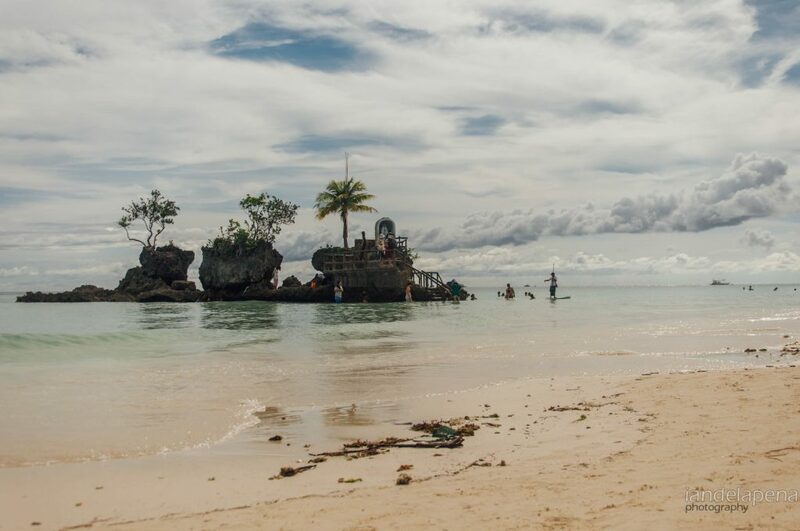 Boracay can be a lonesome place for a solo traveler, but thank God for Hostels. 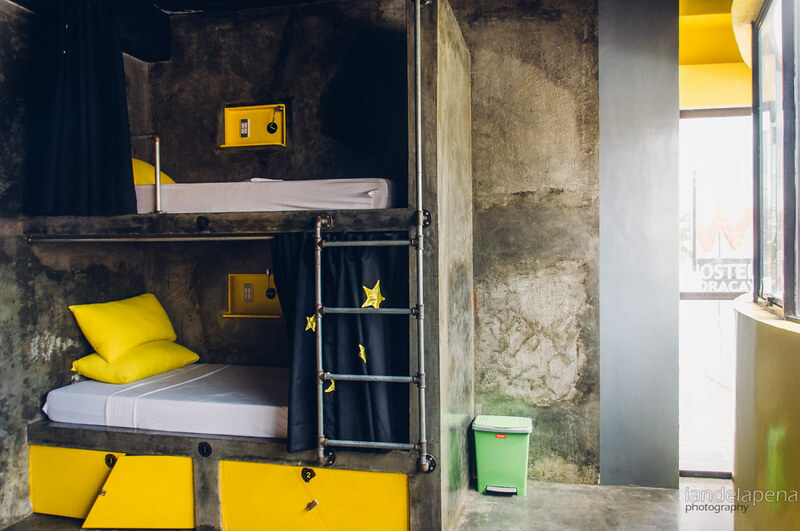 Hostels are a very good place to find travel buddies even for just a short while. That’s why I love staying in Boracay hostel. So on my uhmm…. 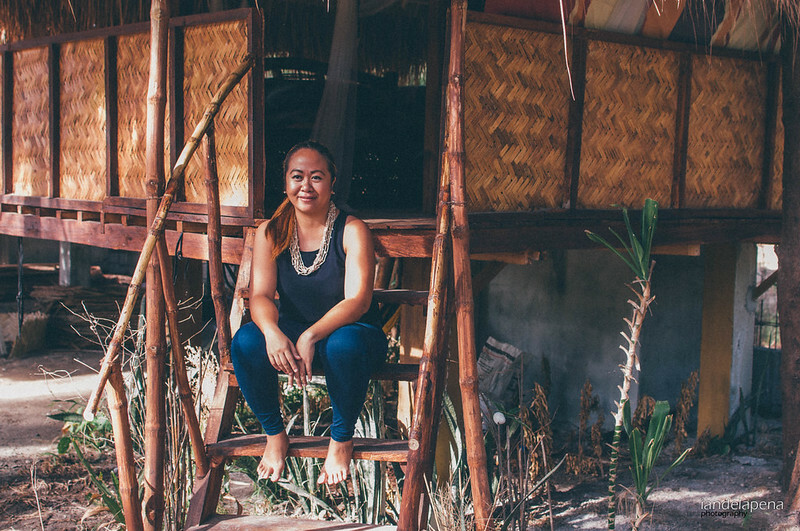 fourth (not sure though) time in Boracay, I scouted for a cool hip place to stay where I can meet new people and I was not disappointed. 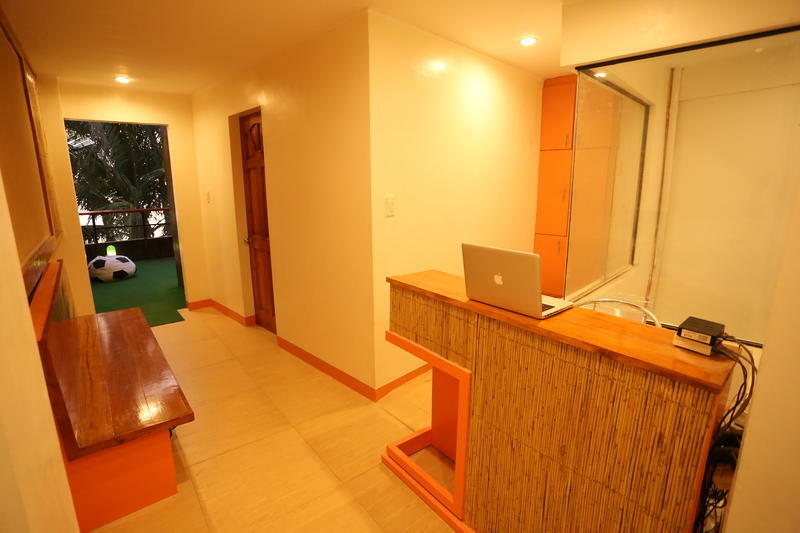 This Boracay Hostel is strategically located along Bulabog road. 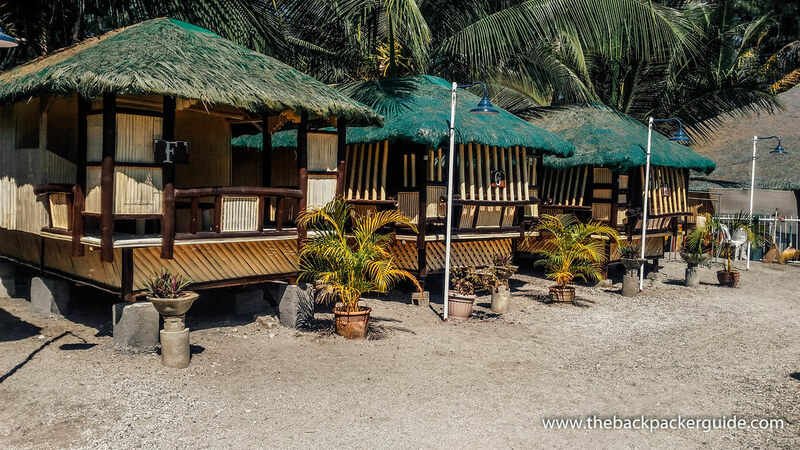 Just right between the kite surfing famous Bulabog Beach and the world famous White Beach of Boracay. 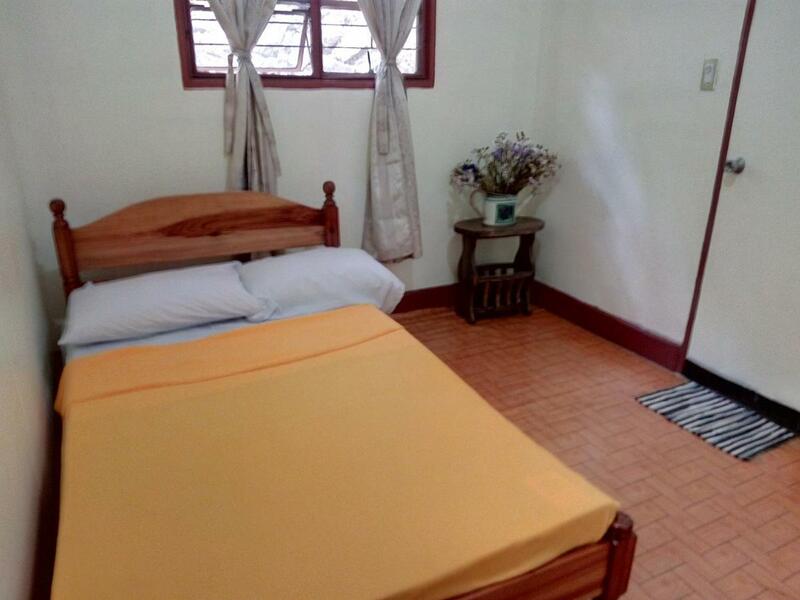 The hostel occupies two floors of the building allowing them to offer dorm type, en-suite and private rooms for travelers of different kinds. As soon as I enter the reception of the hostel I was warmly greeted by the staff as if they know me (yeah you get the warmest hellos in hostel – not at all hostels though, unfortunately). Jen their lead front desk officer assisted me in checking in and helped me settle in the hostel. Really felt I was genuinely welcomed. The hostel doesn’t have those super dorms putting in 12 or more people in one room making it bearable. I was assigned on a four bed dorm with fellow travelers from France and Germany . Each room has a corner table where you can work on. Every bed also has a certain level of privacy. Each one of them has curtains installed to cover, giving you a capsule like experience. And yes all rooms are air conditioned. I was also happy that they have multiple showers and toilets for each floors. available so using the bathroom was never an issue. It was raining my entire stay in the island and you know what my saving grace was? 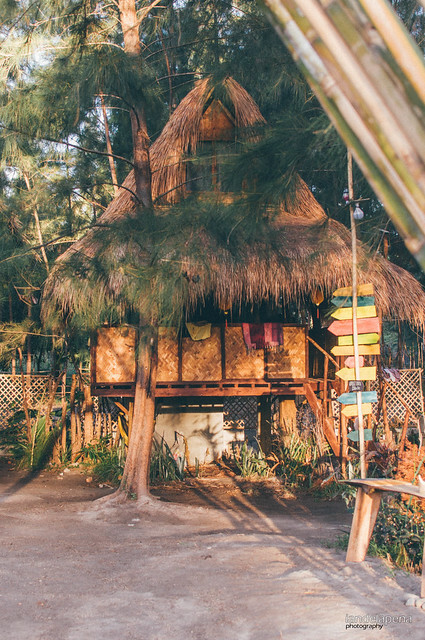 This Boracay hostel! Since the weather was bad most of the time with the sun peeping every now and then, it was awesome that they have this roof top where I can hang out. 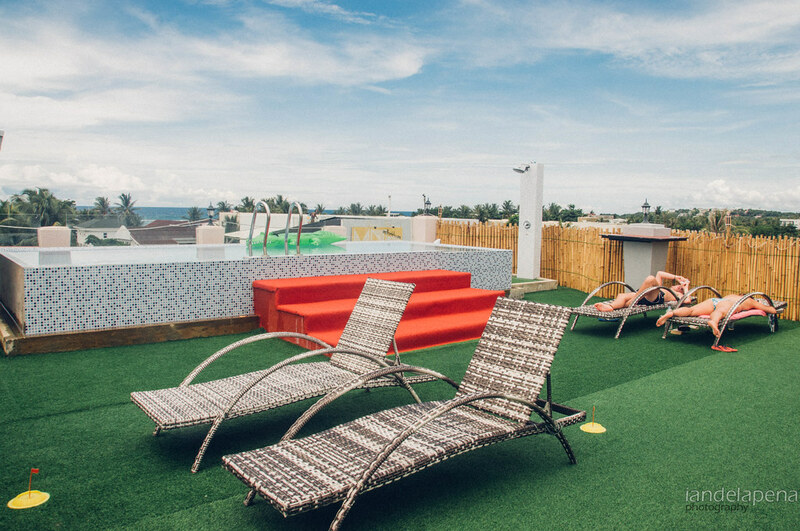 the rooftop has a small pool where you can hang out while looking out to Bulabog Beach. 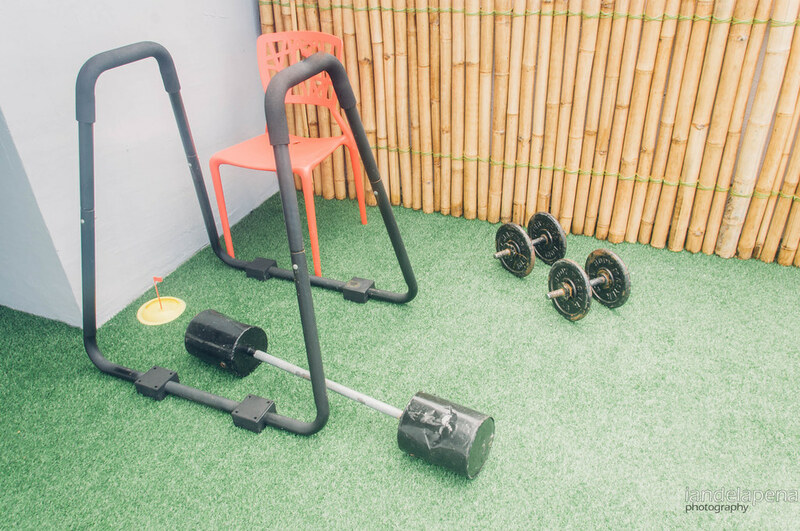 They also have some weights that you can use to keep your self fit while lounge chairs are enough for people to catch some of that Sun. 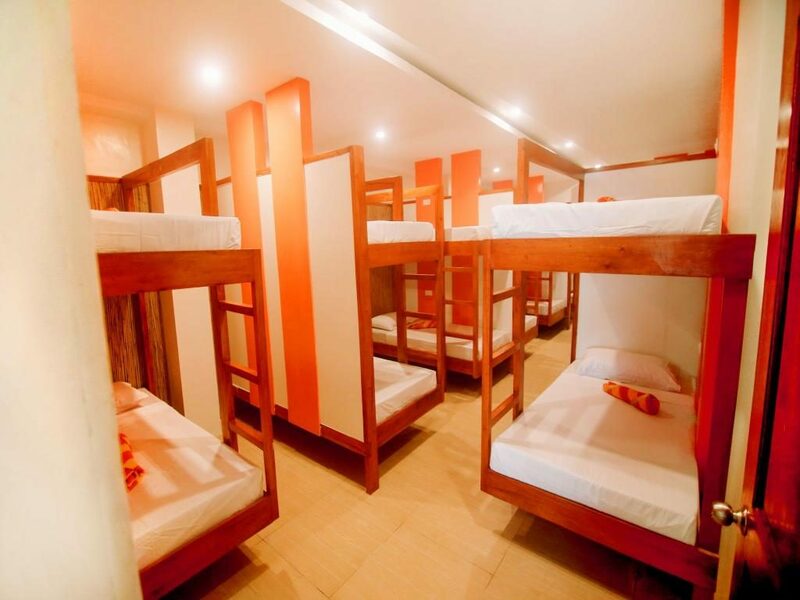 The hostel is also located between the two most popular beaches in Boracay giving you easy access to both of them. Food selection, grocery and night life is also not a problem. 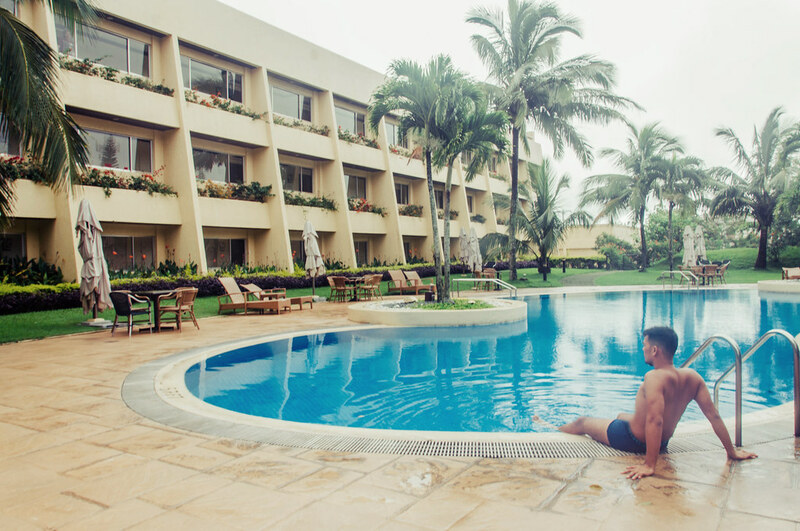 WHostel Boracay is just a several meters away from good Filipino eateries, water refilling station, D’Mall, grocery store, spa and restaurants around station 2. I got my bed for a little over $6 a night. 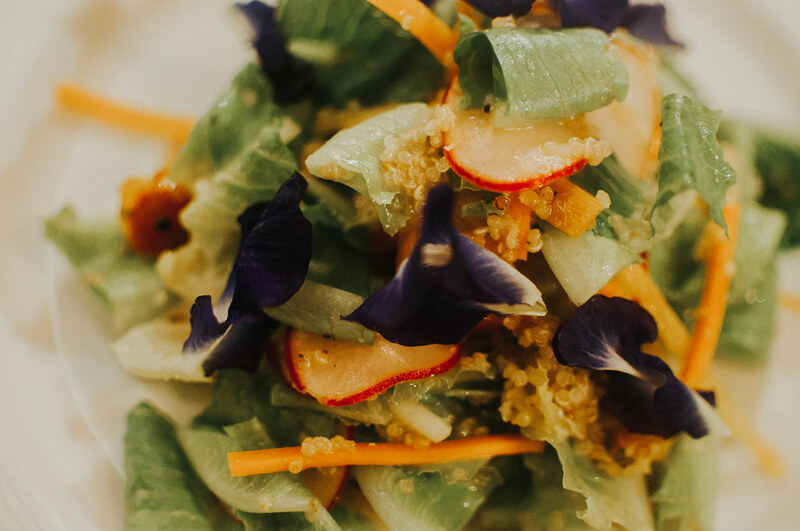 The price includes breakfast that usually are bread, jams, congee, flowing brewed coffee and each guest gets one egg for free which the staff can cook for you. I choose to cook my own to a fluffy consistency ^_^ . Do I need to say anything more? I mean the price was just amazing having those amenities and inclusion at your disposal. I say it was a good deal. 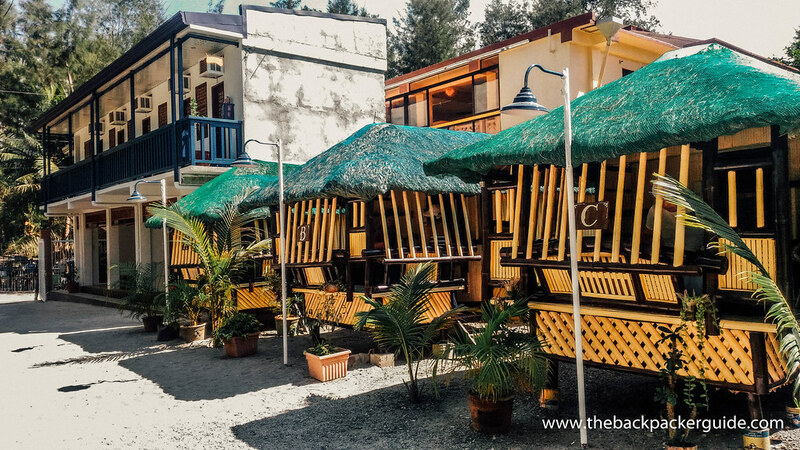 The newest and possibly the most backpacker friendly the Limbonis Hideout is a a hostel found and built by a traveler himself. 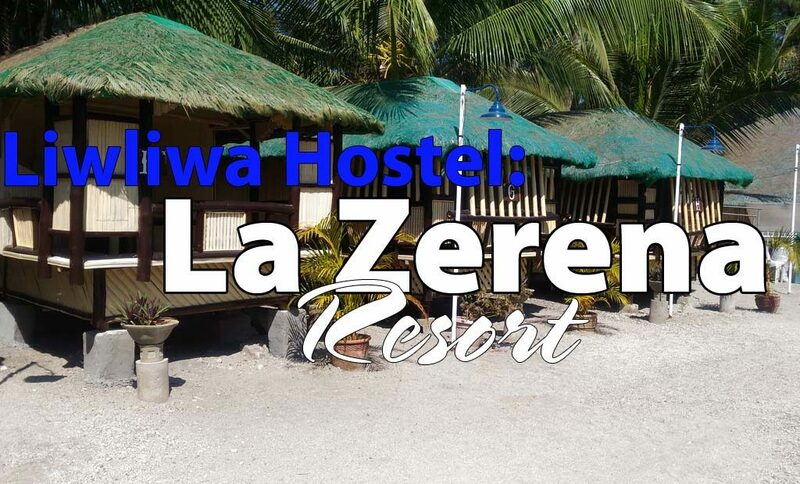 This Liwliwa hostel offers private and dorm accommodation. 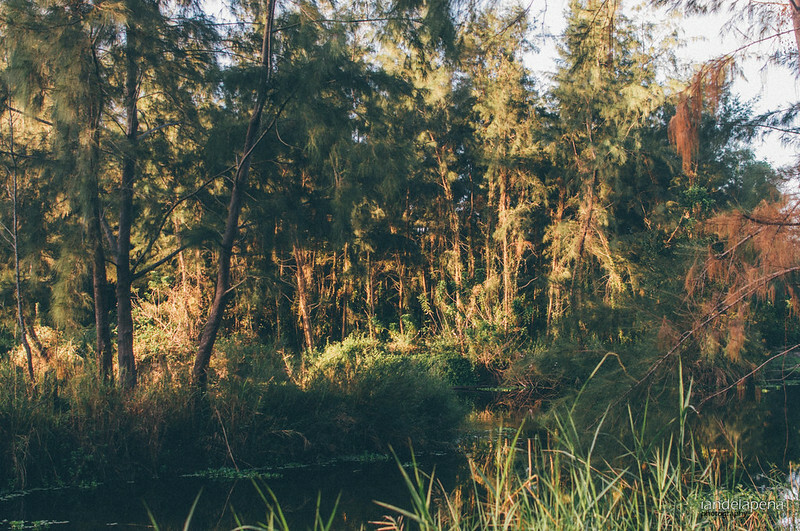 Aside from the fact that it was built by a backpacker for backpackers, here are a few more things that makes this place stand out. 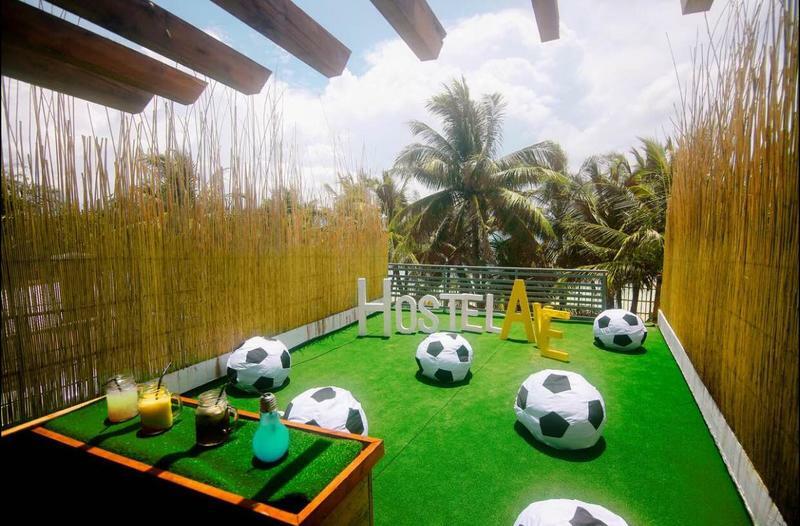 Being a widely traveled person the hostel truly exudes a travelers ambiance. 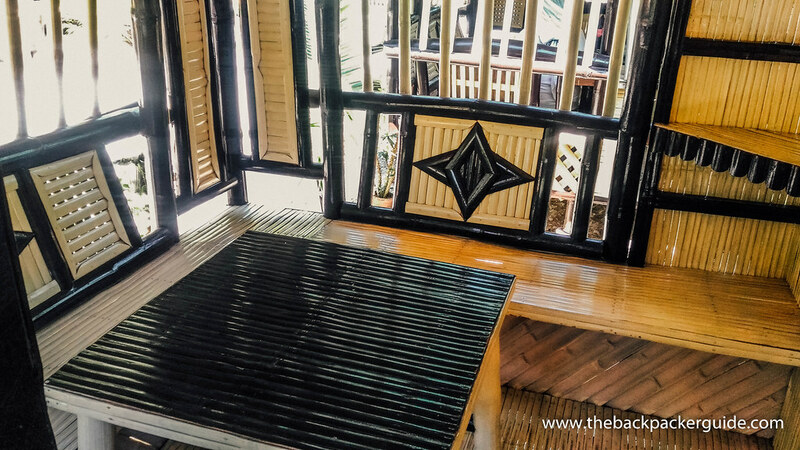 The owner of this liwliwa hostel recreated some of the architecture that he has seen throughout his travels in Southeast Asia. 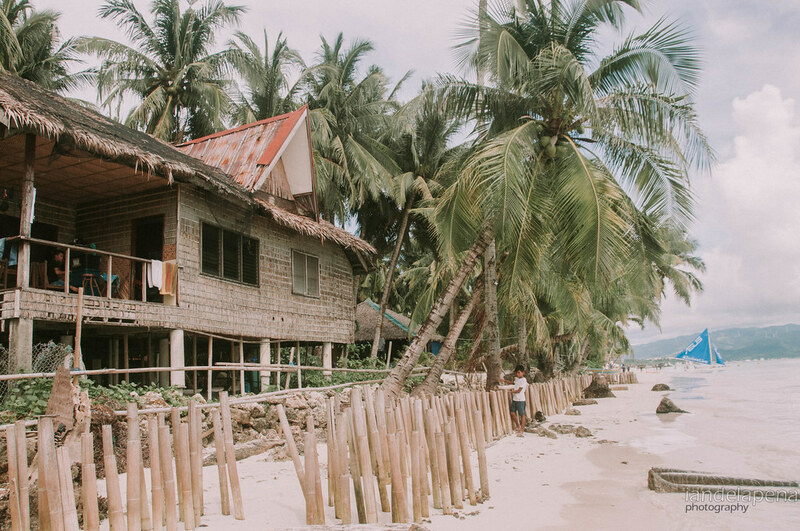 Some of the structures resonate the vibes from Bali while some comes familiar as houses on stilts. 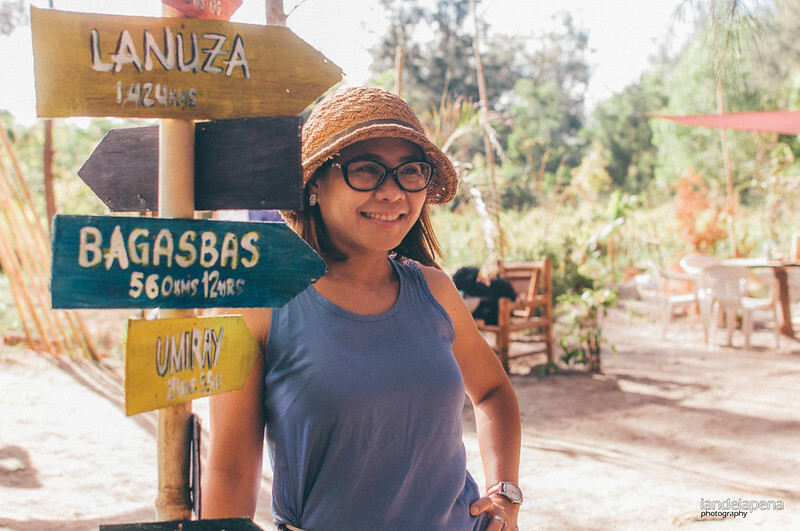 Liwliwa can be a tough cookie to break when it comes to getting cheap prices specially if you are a solo traveler. 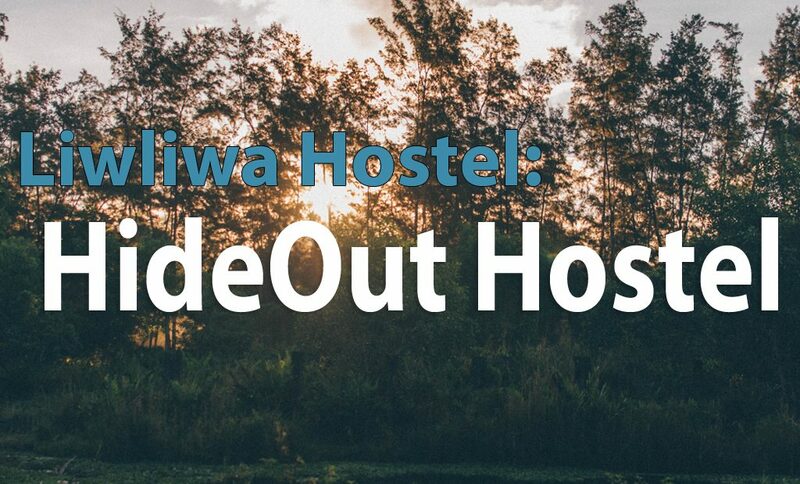 However, at the Hideout Liwliwa Hostel you will feel that you are very much welcome as a solo traveler. I have tried to search for a good price for Liwliwa Hostels before but the best one that I could get before was about Php 550 for a freaking hammock! 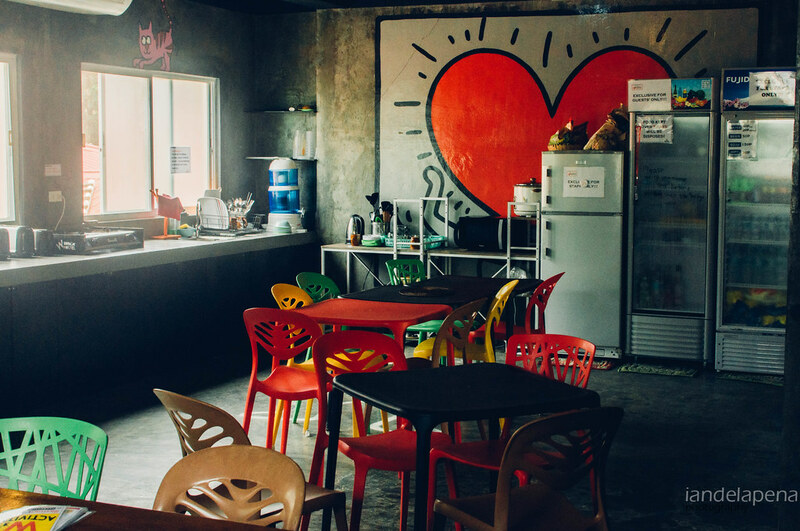 I also love Hideout Liwliwa Hostel’s coffee bar where you can ask for coffee made from different parts of southeast asia and the Philippines! While the beach is just five minute walk from the property, the two main stores are just about two minutes away by foot! For the adventurous type, if you are into surfing they have surfboards that you can rent. For novices, you can also ask for an instructor to help you take that first stance on the board! 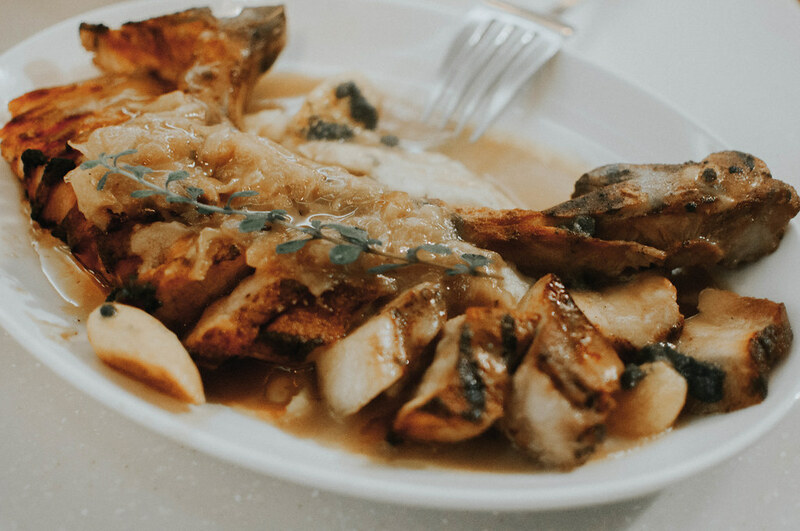 Searching for a private room in Liwliwa, San Felipe Zambales can be difficult on a weekend when everything is almost fully booked. 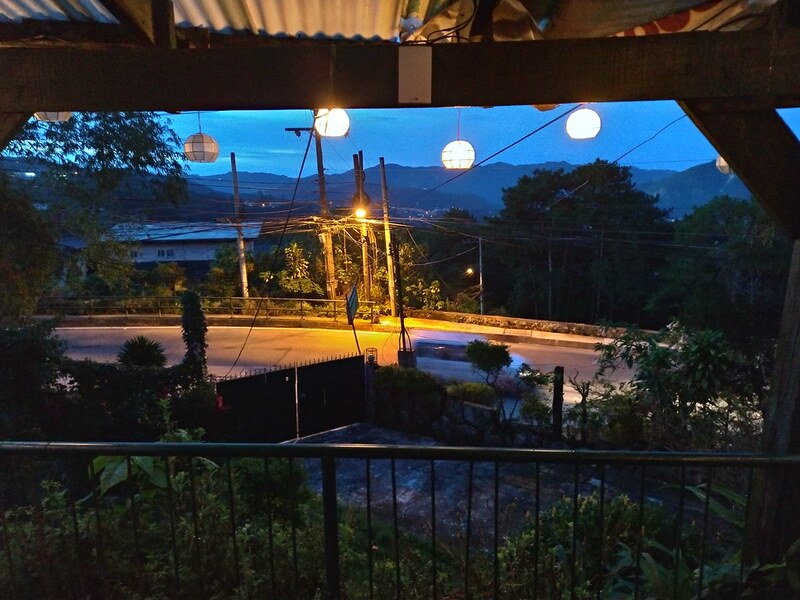 Good thing we wandered a bit more and found La Zerena just across Circle Hostel. We took one of their nipa huts that is good for two to three persons. 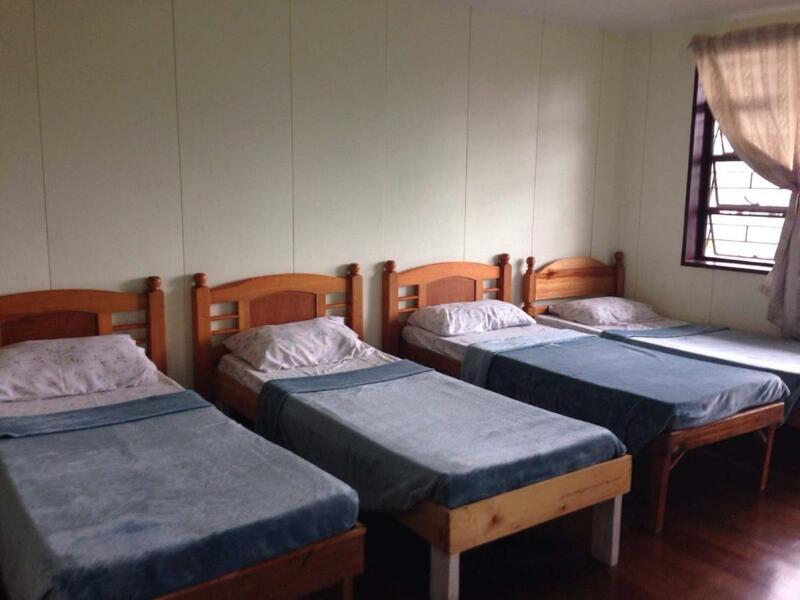 The comfort rooms are communal located near the huts are reasonably clean and water is good. The resort is about two to three minutes walk to the beach. 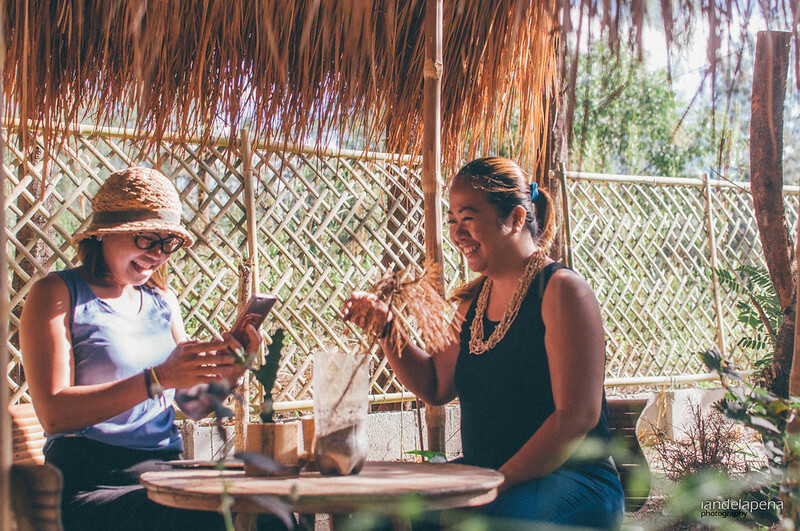 Priced at 1,200 La Zerena nipa huts are quite affordable specially if there’s going to be three of you splitting the cost. 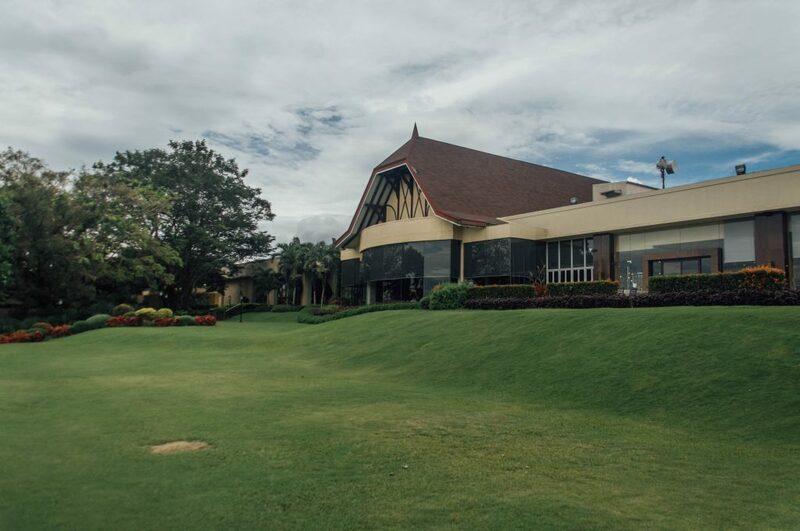 I also like the resort’s location since it is just right beside Fely’s Canteen and store where we bought most of our necessities. 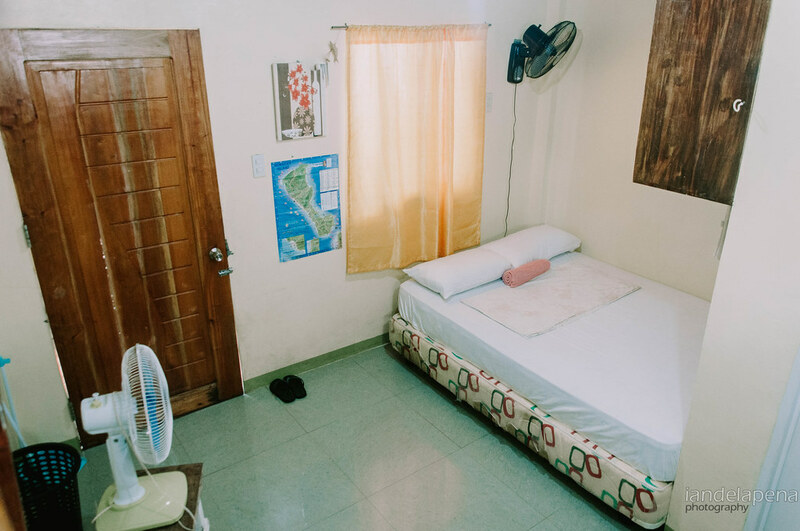 Airconditioned rooms though are priced at 3,000 pesos good for two. 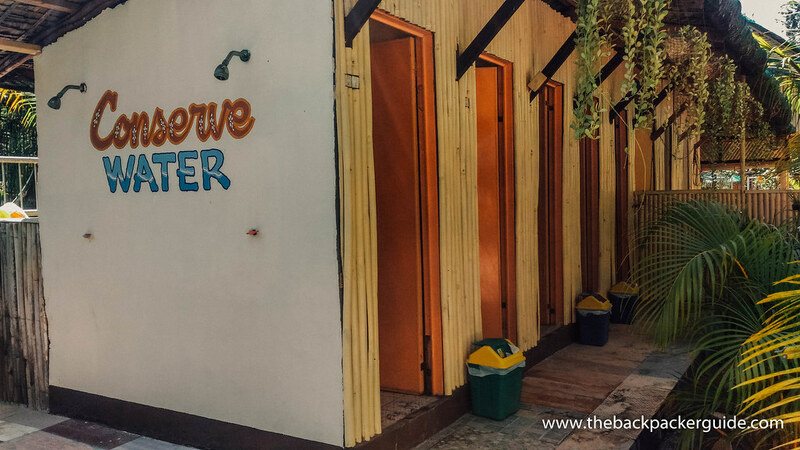 It was almost a no-thinking-required decision when we booked Hostel Avenue. We were trying to escape the rains in Cebu so we find our selves up north in the province of Aklan. With no plans at all, we pushed all the way to Boracay with no reservations for the night. So we turned to our phones and searched through our apps for one. 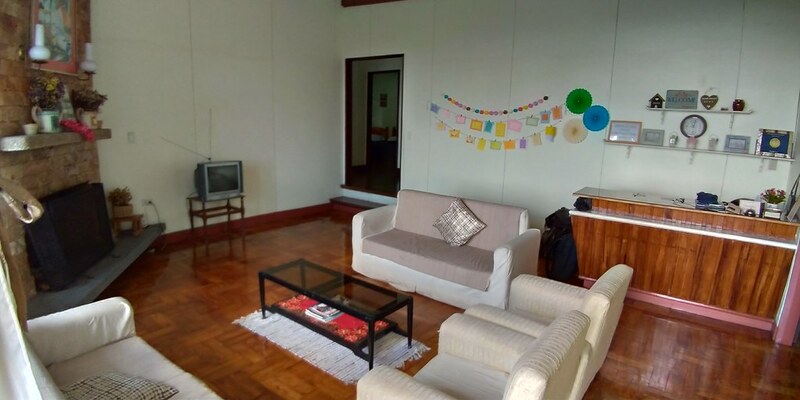 Agoda.com was the one that gave us the best options, sorting the results from cheapest to the highest priced accommodation Hostel Avenue quickly got my attention as it showed to be located on a beach front property. 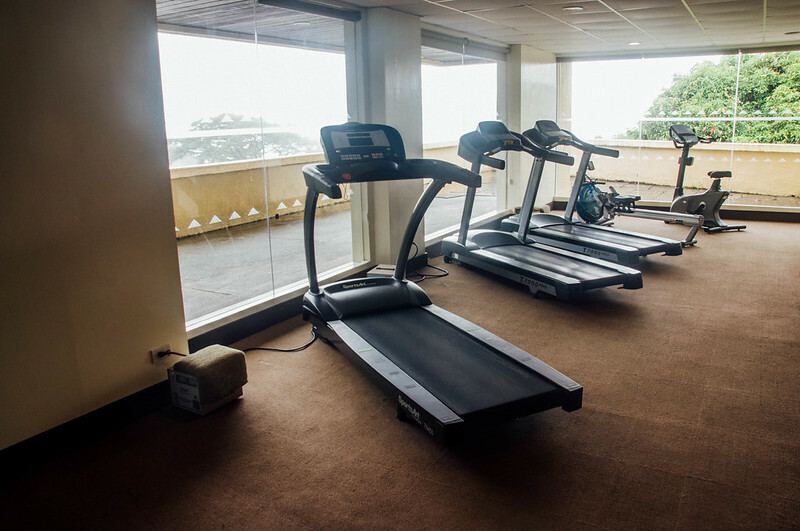 It was also strategically located in Station 2 near D’Mall and Epic Club so everything is right at your reach! The hostel has two rooms (at least that I know of) that has dorm facilities. The dorm that we were assigned to stay in has two showers and two toilets. It also has two sinks outside the toilets so bathroom traffic was pretty much manageable. 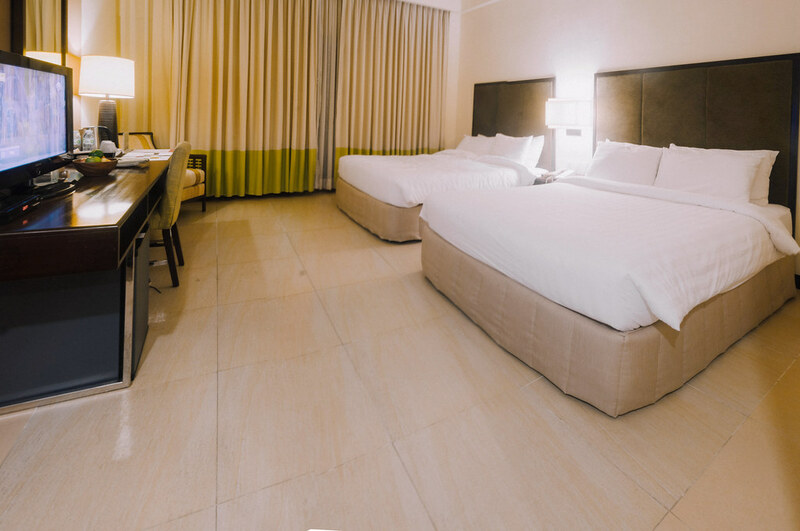 You are given clean linens and pillow cases as soon as you check in. You also don’t have to worry about towels as they will also give you fresh ones. I was specifically impressed with their bunk beds, Usually, bunk beds tend to move and wobble every time the one who stays in the upper bunk moves or gets off. But for Hostel Avenue, the beds doesn’t move an inch. You also get to have a socket assigned to your bed and even the upper bunks have one! The only thing that kinda let me down, is that we can’t leave our electronics charging. This means that I had to stay in the hostel whenever I have to charge one of my gadgets because they will plug it out if they see it unattended. To be fair though, I didn’t ask if I can leave my gadgets charging in the reception area. They also clean the room and toilets on a daily basis which is a +++ for me! The water pressure though is quite disappointing. But it could be because of the water heater just like in most cases. You can’t have both – heated water or pressure – you choose! I really find the hostel strategically located, I will stay here over and over if I am traveling alone. One thing though that I would like to point out is that, it would be a loooooot more awesome if they have free drinking water. I mean really. Honestly, I was quite disappointed with that, but then they served FREE Cocktails on my last night so no biggie! Hahaha! 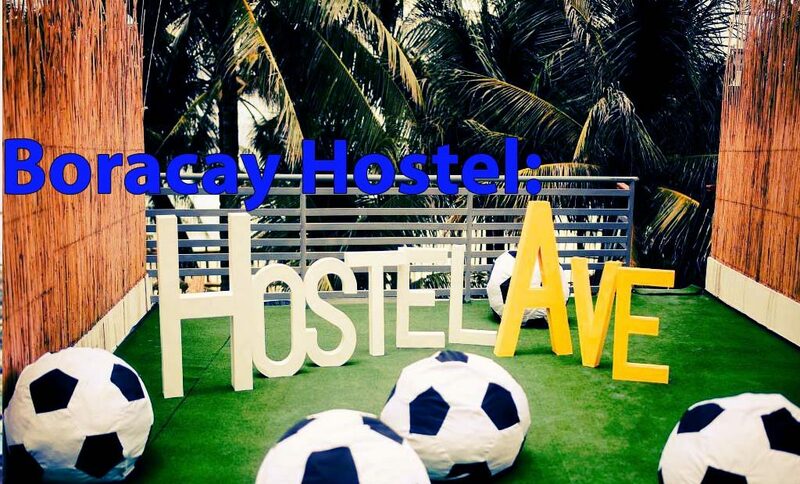 I really had a fun stay at Hostel Avenue, I’m sure you will too. P.S. 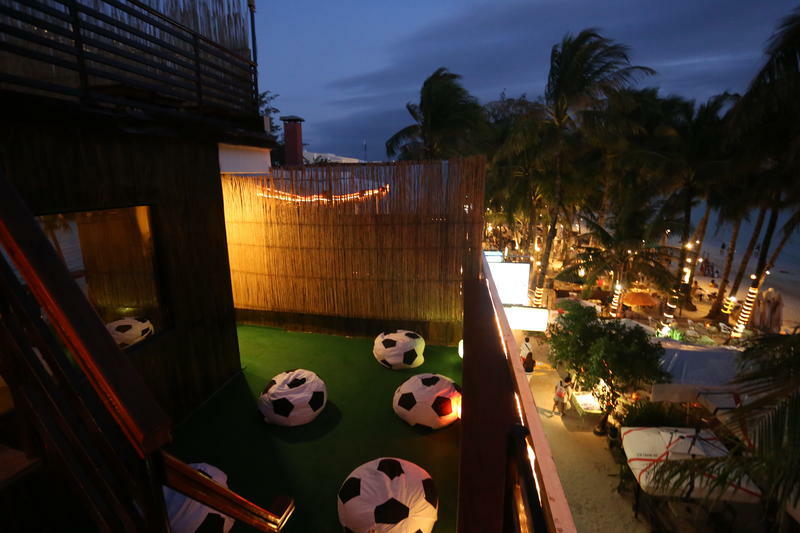 They have this awesome roof deck over looking the beach bar performers. You can just buy your own beer and chill there while listening to live music… totally awesome! Note: Photos lifted from agoda.com. This post is the sole opinion of the writer of whom was not solicited by the establishment. 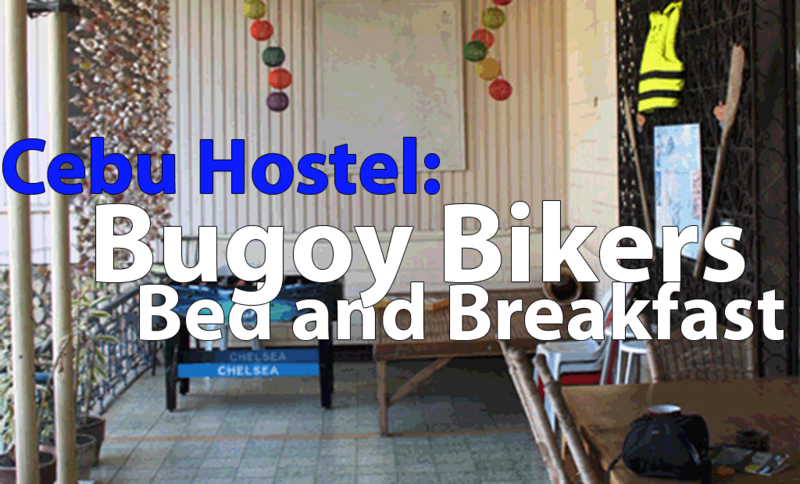 Hostels aren’t that popular for Filipinos but I think one must try staying at this hostel called Bugoy’s Biker Bed and breakfast. 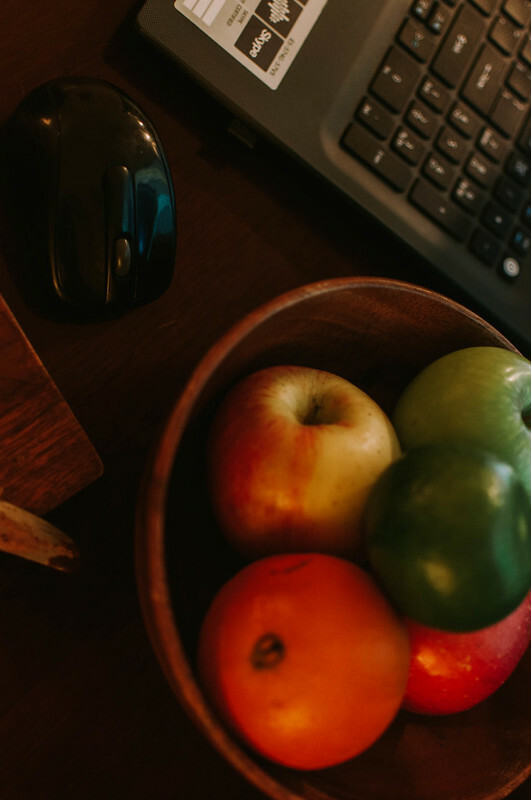 Hotels tend to provide canned customer service of some sort like they smile all the time and everything but experiencing real personal customer service is something that one can only experience when the people who own the accommodation actually attend to your need. 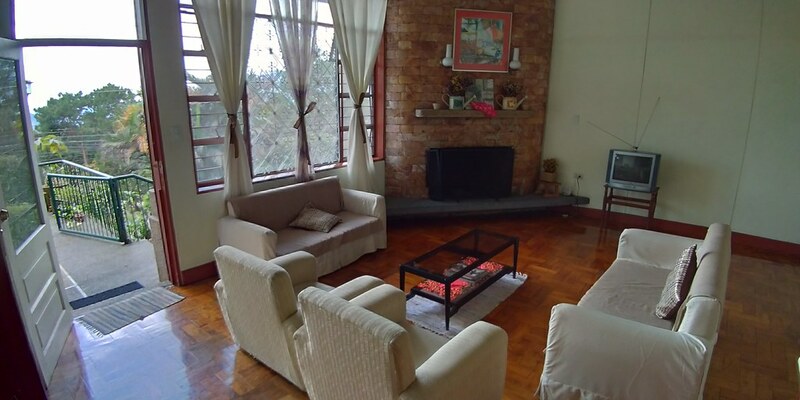 I booked Bugoy’s Bed and Breakfast six months ahead of the festival, honestly I had hesitations with it because the location doesn’t seem to be at the center of Cebu and the place looked like it was an old house. Though admittedly, the owners does say it is thus prohibiting smoking inside the accommodation. But I guess, I was wrong, Bugoy’s Biker’s Bed and Breakfast is just a 15 minute ride away from where the Sinulog action is. It is also conveniently located near JY mall where I was able to find a travel agency that helped me book a ferry to escape the rain in Cebu to Boracay. It is also walking distance to the market, supermarket, fastfood and cheap eateries where I often eat. The best thing I like about Bugoy’s Bikers Bed and Breakfast is the owner’s personal touch of service. They are really honest and would make sure that you are comfortable. Jens with his wife who owns the B&B will attend and tour you around the property informing you of everything that you need to know. I also admire their honesty. I really appreciate the fact that they are very transparent and fair with their prices. I booked through a certain website that gave me a different price which was 25% more of what other guests are paying for. 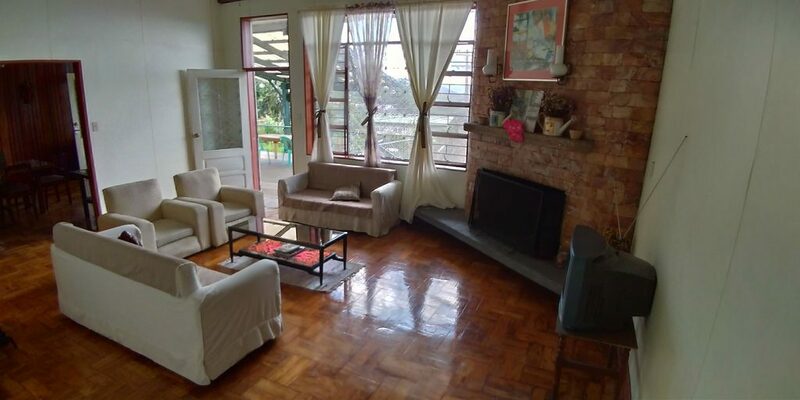 I gaveRenz the amount stated on the website as I checked then she pulled at the back of the property and insisted on giving me back the excess of the price that I was suppose to pay. If that is not enough honesty and integrity, what more can I say? I mean that is money for them already and that is not even cheating or anything since that is the price that I signed up for but she gave it back to me because it was not right. I am really impressed. They also provide free water and brewed coffee which is awesome, specially for digital nomads like me who need s caffeine to keep our bloods running ^_^. They also serve continental breakfast which is awesome and helpful when it was terribly raining because we didn’t have to go out and find food. 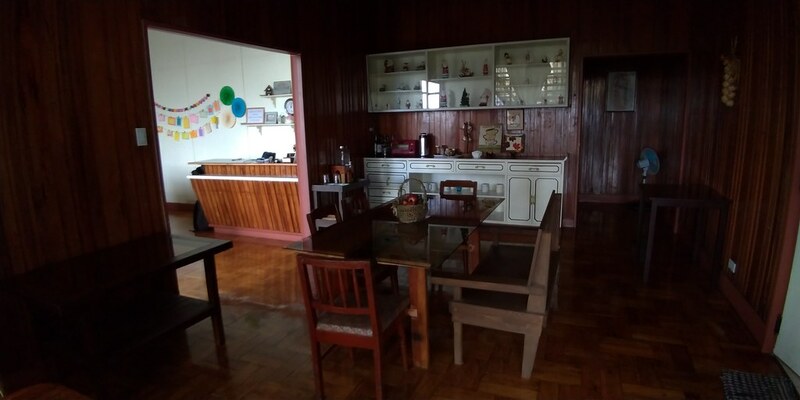 Most of the people who stay there are westerners and I was able to speak with one of the owners who quite sad about locals (people from the country) who book at their hostels and just don’t show up, mostly because they are expecting of some sort of hotel like accommodation. 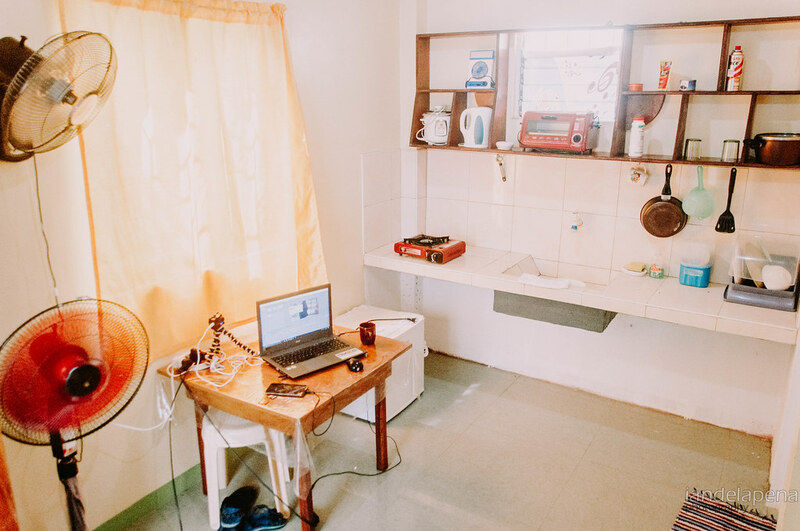 I just hope that Filipinos could open up and actually try staying in hostels and get to know more people. 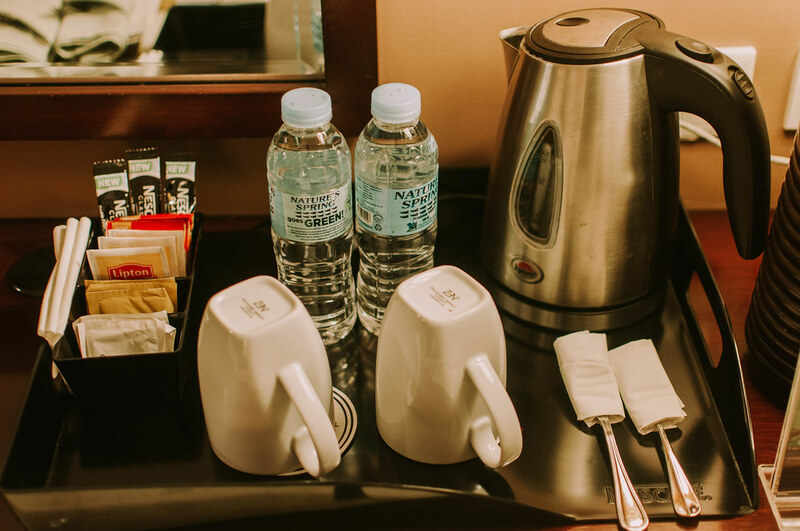 Bugoy’s Biker’s Bed and Breakfast definitely delivers exceptional service. 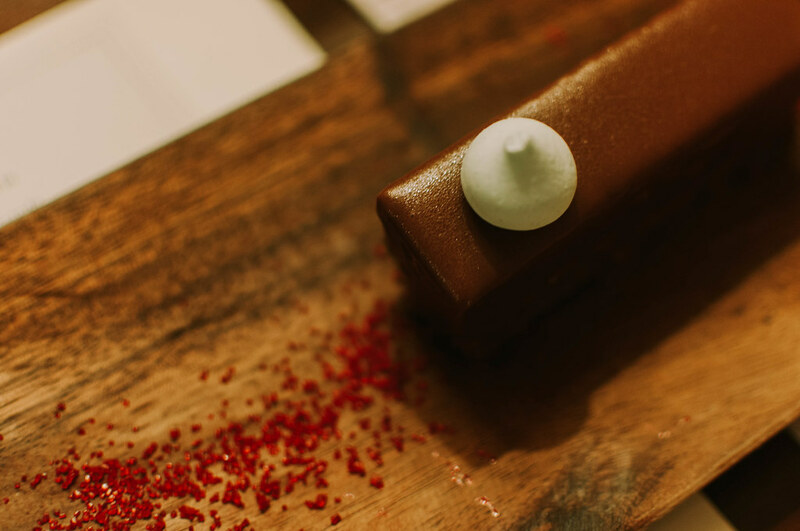 It has nothing like the luxurious amenities of a hotel but it has more than what you can experience more than a hotel. 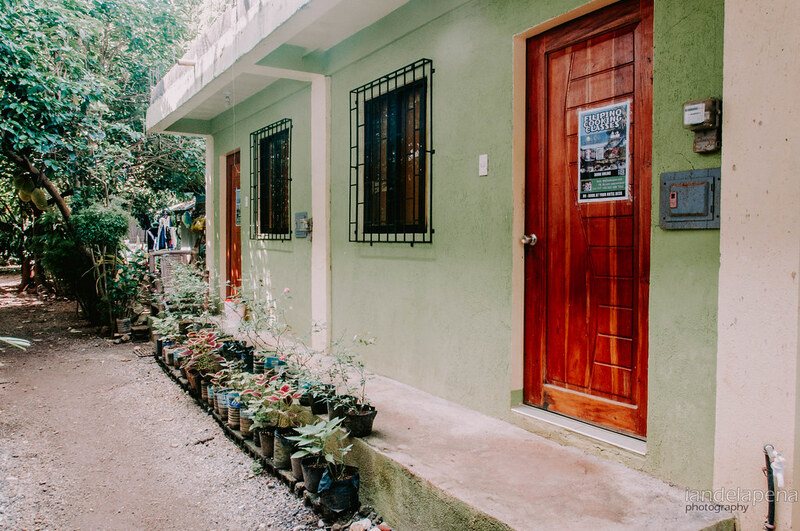 It is also worth mentioning that Bugoy’s Biker’s Bed and breakfast can be one of the few accomodations that does hostels right. 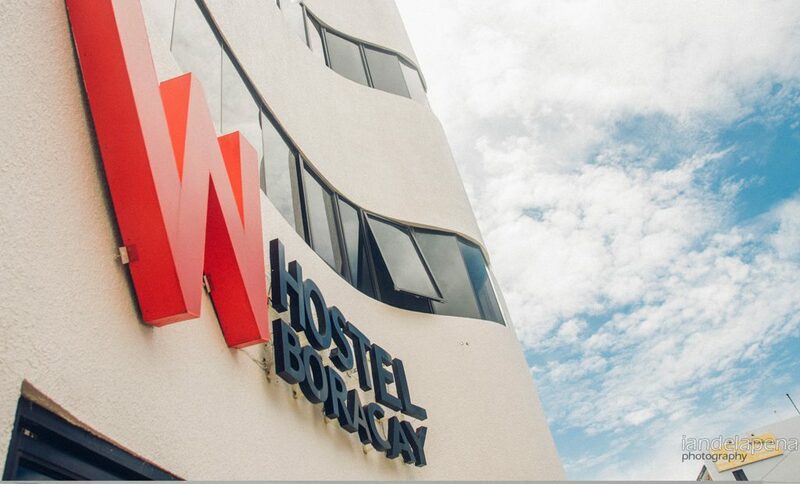 Some accommodations would label them selves as hostels only because they offer dorms of accomodation below the standards of a hotel, but that is not what hostels are all about. 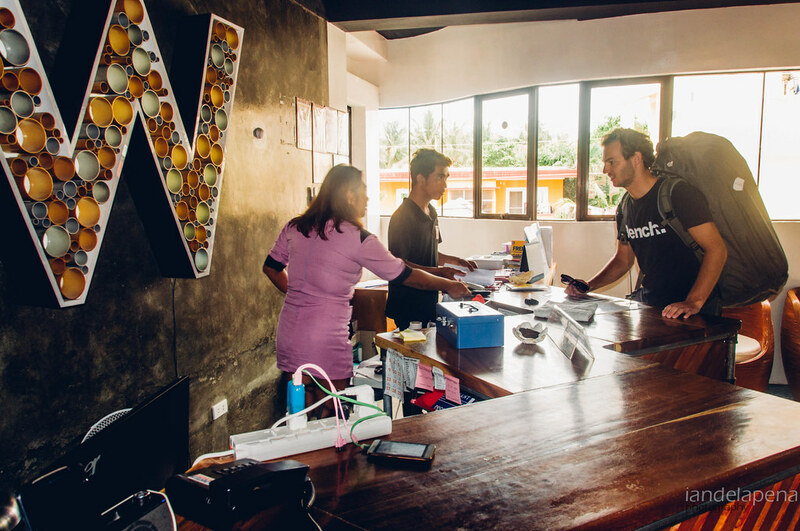 Hostels are about meeting new people and keeping accomodations low. 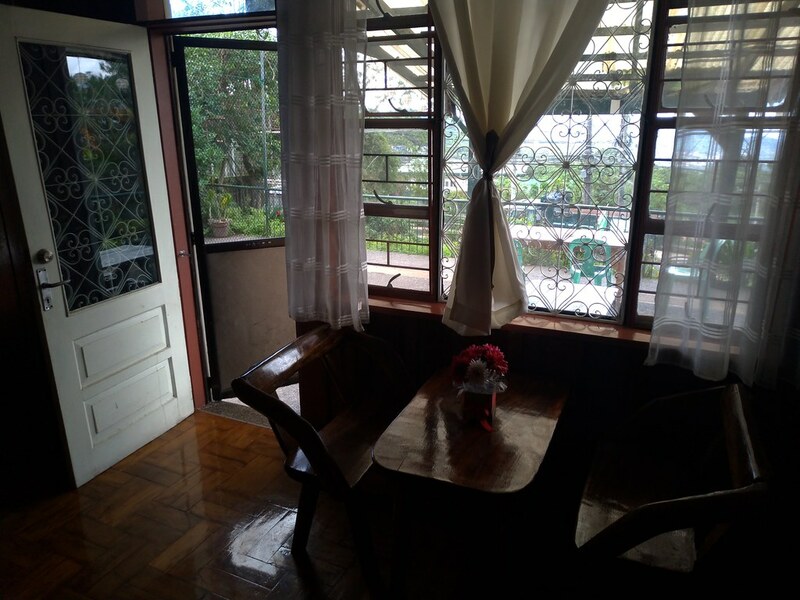 In general, I would highly recommend Bugoy’s Biker’s Bed and Breakfast because of their excellent personal service and hospitality. Note: this post is the sole opinion of the author who is not associated with the hostel in anyway. If you are booking for Sinulog make sure that you book at least 6 months ahead.